Bolivia Vs Brazil Kickoff Time, TV channel, live stream, Match Preview FIFA 2018 Qualifiers: The World Cup 2018 Qualifiers bring two of the most opposite teams for a face-off on October 5th at the Estadio Hernando Siles. Brazil Vs Bolivia is a match that is expected to attract a lot of audience both on & off field. Brazil is considered as the in-form team in international football and at present rests itself at the top of the group table. On the other hand, Bolivia have won all of their previous three outings at home, defeating Paraguay, Argentina, and Chile. Brazil has already secured its place in the World Cup 2018 slot, with host Russia joining in. The team achieved this with four matches to spare, making the squad quite focused and determined like it used to be few years back. The squad is filled with star players Alves, Willian, Coutinho, Firmino and PSG star signing Neymar Jr. Each of these players hold the ability to change the game at any point. The Bolivian side has been revised significantly by coach Mauricio Soria. Veteran winger Juan Carlos Arce has been called to join the national side along with former Maccabi Tel Aviv central defender Ronald Raldes. Real Madrid midfielder Casemiro would be leading the Brazilian side and this responsibility is part of coach Tite’s rotation policy. Tite has been impressive since his hiring in June 2016; he holds an unbeaten competitive record having led his side to nine victories and one draw. Brazil is slightly laid back due to the injury issues of Marcelo and Filipe Luis revealing a weaker left-back. However, with Brazil already qualified, coach Tite does get a chance to experiment with his squad. In contrast, Bolivia cannot qualify only with four wins from their 16 matches leaving them second bottom of the group. However, the team did surprise the world with a 2-0 win against Argentina, although Lionel Messi wasn’t involved in the game due to suspension. Bolivia would be playing for pride, but would also try to place a strong starting XI for their home crowd. Moreover, star striker Marcelo Martins is expected to take charge with veteran captain Ronald Raldes providing support from the back. 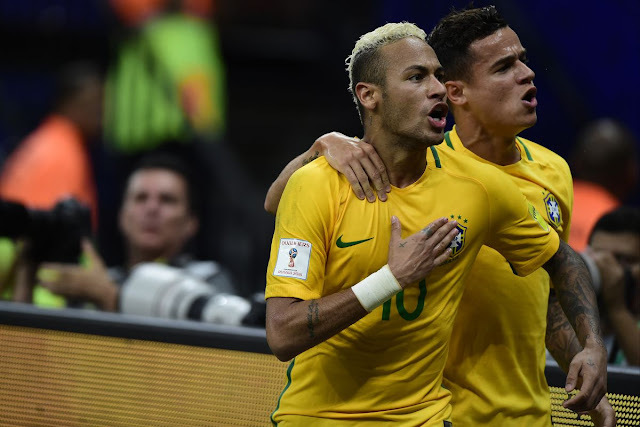 Considering all possibilities, Brazil does acquire an upper hand with the supreme form maintained by Neymar Jr. and Coutinho. The predicted score for Brazil Vs Bolivia is 3-0.